Unlock the Magic of Mathematics! Why is 10 such an important number? How do you draw a circle? What does zero mean? 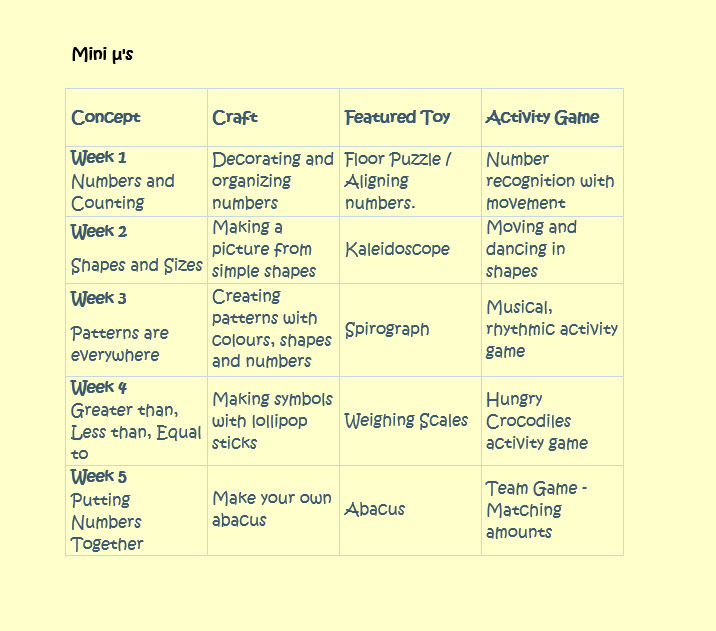 Open your little ones to the concepts of mathematics through play, crafts and movement. Your child can feel great about mathematics and feel excited for the next step. The course caters for children with English language ability ranging from beginner to mothertongue. 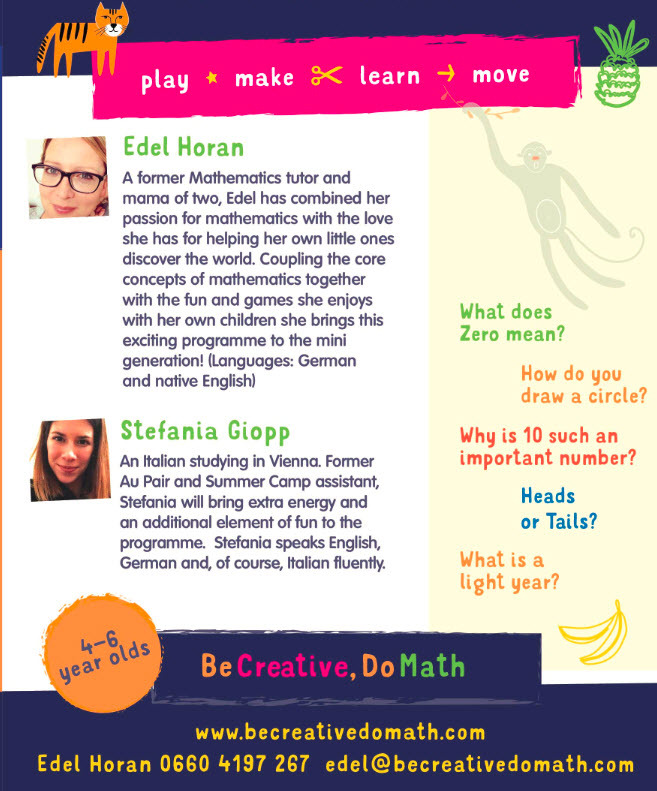 The classes are delivered by Edel and Stefania.